It may seem complicated figuring out if solar is right for you. But really, it’s not! What to expect when you contact Southern View Energy about seeing if solar energy can be a part of your own “energy independence plan”? Here it is in just 5 short steps — start to finish! Every home and business is unique, so it’s best to begin by scheduling a solar site analysis with us. We will be talking with you about your current energy usage and energy savings goals. We will review your past energy usage patterns and evaluate your building for adequate solar exposure. Southern View Energy will then be able to provide you with a variety of solar package options, to show you how to conserve your energy and how generating your own solar power can drastically reduce or eliminate your utility-supplied energy costs. 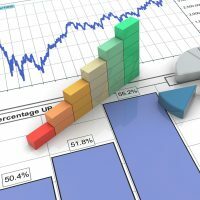 Southern View will go over the various options with you, including pricing and cost effective analysis. We will identify the Federal tax credits and other rebates that may apply, that can dramatically improve your financial investment. We will advise you on the best, most efficient ways to bring solar into your home or business. High value starts with superior design! Our team will custom-tailor your solar power and/or conservation systems based on your home or business’ building orientation and your overall energy needs. We work only with the highest quality, proven manufacturers to bring you the best performance possible. 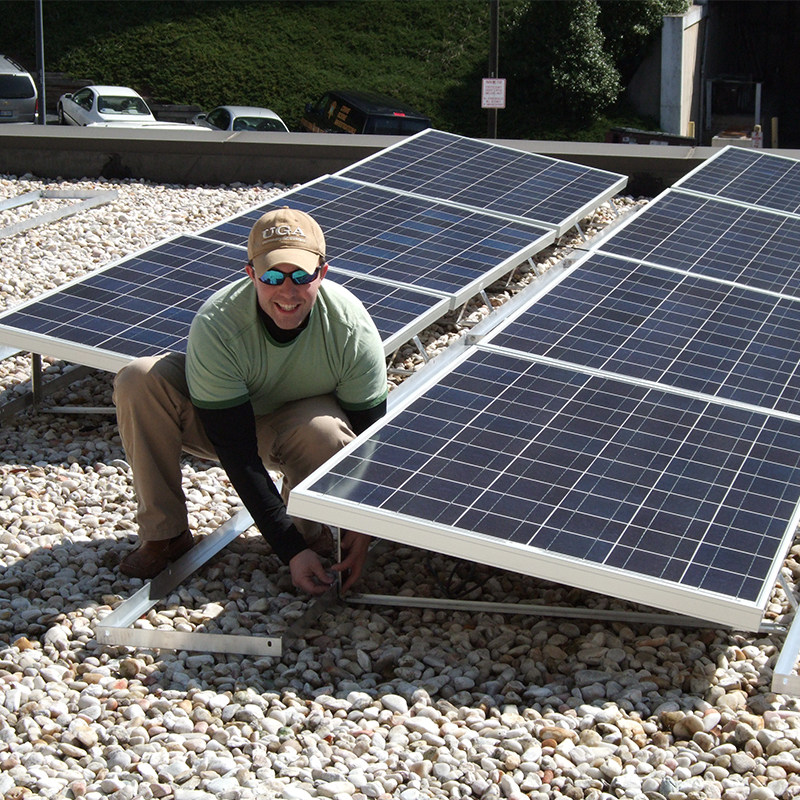 Southern View Energy is one of the very few solar and energy conservation providers in Georgia to use its own directly-employed and fully supervised staff on all of its electrical installations. The vast majority of other “solar providers” subcontracts their work out. Not us: Your project is 100% conducted by Southern View Energy’s own people, with a NABCEP certified master electrician, one of our dedicated solar technicians and/or solar project manager on site (as appropriate to each phase of the project) throughout every step. We are all highly trained, fully insured and bring a wide range of solar experience to assure that your system is completed to the highest standards. Actual solar installation times for a residential system range from a few days up to about a week, depending on its size and complexity. However, availability of solar system materials (especially during peak season) and local permitting, plus where we may be in the season (our construction schedule lengthens a bit during ‘peak’ spring-summer months) when you decide to go solar! can add an additional 3-4 weeks. But typically, your “start-to-finish” time will be under 1 month. And, we will work closely with you to ensure minimal disruptions, i.e. – We won’t be “in & out” at your home numerous days over the course of that time. Our actual “on the ground & roof time” at your home should be under 7 days, total. All the rest of the “behind the scenes” work required, such as securing local permits, coordinating on inspections and your utility approval & grid tie-in are seamlessly handled by us, too. 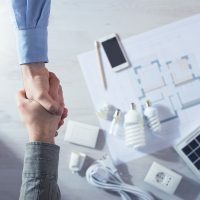 Southern View Energy takes the time to partner with each of its customers, not only throughout the selection and installation process but especially after a system is working to save them energy and money. Our complete specification, labor & workmanship warranty provides superb assurances of the fact that our solar energy system will perform, safely & securely so — just as it should. We also offer a very affordable Annual Inspection & Maintenance Plan. And we are always glad to hear from our customers, if just to say “hello” or to answer any questions that they have — no matter how long since we completed our work for them! If you’re interested in learning more about the many solar options available to you contact us, the solar energy experts at Southern View Energy today! 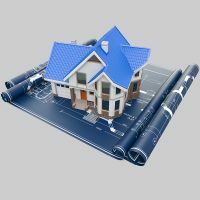 Some contractors offer a price for services then return during the job with certain added charges, for things that either didn’t occur to them during their initial site assessment and they now “recommend”, or have been determined as “necessary” for them to complete your project. 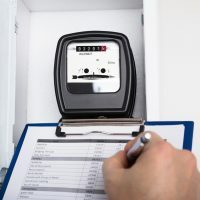 Minor exception: The utility’s grid-interconnection and inspection fee, which the owner must apply for. We assist completing your application, to assure all is compliant. This fee is typically small, <$100. We believe that this is the most straight-forward and conscientious way to do business and have found that our clients very much appreciate it. And while there are rare instances where hidden damage is revealed that couldn’t be seen during the site inspection, even then we will do all that we can to correct it for you…at no added expense. The bottom line is that we pledge never to come with “surprises”, by making price additions or corrections of our own, on your project.